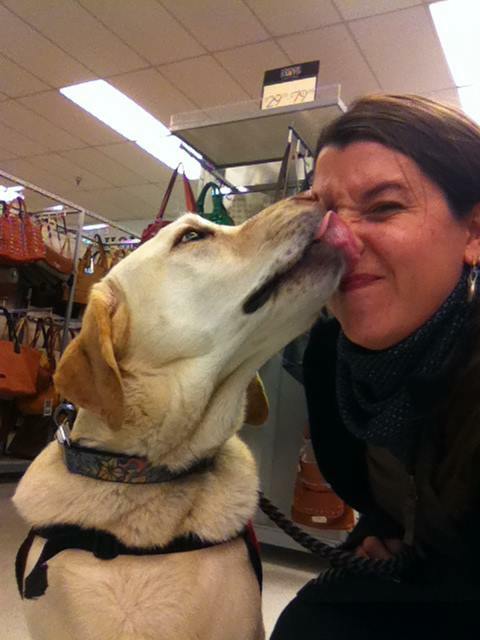 As a child, Jill Felice started training dogs for her sister who has cerebral palsy. Jill learned from this formative, early experience how the union of two species that bond as a team can navigate the world and build the resources to achieve solutions to many challenges. 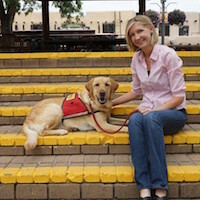 Jill is a graduate of Bergin University of Canine Studies, the only accredited academic institution in the world solely devoted to advanced canine education and research. She began ADW with one dog and one client. 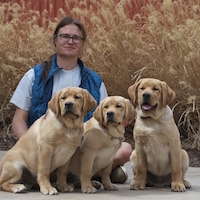 Her embrace of positive reinforcement training to produce assistance dogs who serve with confidence and joy remains distinctive to ADW’s entire approach to training dogs without ever resorting to dominance- or punishment-based instruction. 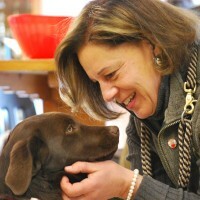 In 2006, Linda Milanesi began her career with Assistance Dogs of the West when she apprenticed to become an instructor/trainer in the school programs. She served as Vice President of the ADW board until 2011, when she was named ADW’s Executive Director. Linda oversees a whole-systems team approach for ADW. She supervises and manages policy and procedure, advocacy, board relations, finance, development and grant-writing. She is responsible for creating and nurturing donor and foundation relations and earned income projects. She produces the annual graduation ceremony celebrating the dogs that have been successfully trained for client placements and facility placements. Prior to Santa Fe, she lived in Bucks County, Pennsylvania, and worked in Philadelphia and New York City. Liz Napieralski will celebrate her eighth anniversary at ADW in December 2016. Except for the morning coffeee, there’s no such thing as an average day. She is the point person for communications with clients and prospective clients, parents, student trainers and facility teams. She coordinates the student trainer programs, from scheduling to obtaining media permissions to working with the schools. 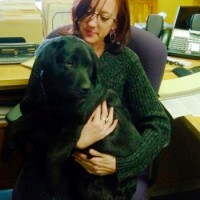 She manages ADW’s social media, newsletters and e-mailings. She is Executive Director Linda Milanesi’s right hand. From growing up with Labs to getting his first job in a veterinary clinic to starting work at Assistance Dogs of the West in April 2008, Kyle has always had a love of animals. 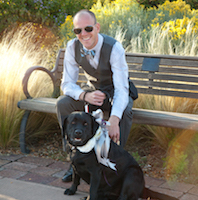 He grew up in Wisconsin but after moving to Santa Fe in 2007, he found ADW through an advertisement expressing a need for help transporting dogs to various programs and appointments around town. As his affection for the animals and the work they do grew, so did the job. His responsibilities quickly expanded to include managing inventory, purchasing, veterinary needs, billing, bookkeeping, payroll and many other tasks that arise daily (including snuggling on the couch with tired puppies). Jodie has an extensive background working with animals, children and people with disabilities. She had been a volunteer with ADW, received ADW Assistance Dog Handler certification and was hired as an ADW trainer in 2005. 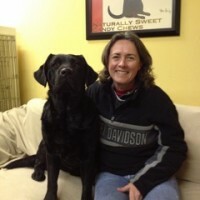 Jodie has continued her education through professional development training courses (health, education, disability awareness, autism and advanced dog training) Her responsibilities include: Instruction, training, program presentations, potential client relations, client placement training, owner self-training and curriculum enhancement. Jodie is also the staff baker and goodie-maker. Dani Miller has loved dogs since she began training her pets in childhood. 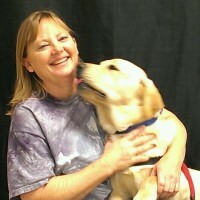 She considers it a huge privilege to be around service dogs and their clients and handlers all day long. Before joining ADW’s training staff in 2003, Dani was a volunteer puppy raiser and a trainer at a PetSmart in California. As an adult, she studied how to train dogs in a variety of disciplines including obedience, agility, flyball, herding, clicker and rally. Dani encountered her first service dog in training while living in California, and had skilled dogs who helped her son through a challenging illness. Every dog that has come into her life has had a special purpose. Every one of them keeps teaching her new things every day. Penny Ryan met Jill Felice shortly after Jill founded ADW. Penny began volunteering her time in 1995. Her experience as a Narcotic Detection Dog handler and trainer helped with the inception of the ADW Diabetic Alert Dog program. Penny always told Jill, she would come work at ADW when she retired. She retired from the New Mexico State Police in 2014, and shortly after, began work as a trainer with ADW. She reports feeling very happy working with wonderful people and amazing dogs. 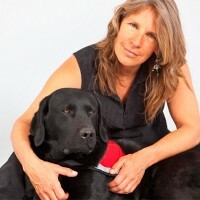 Denise Dumesnil is a Licensed Clinical Social Worker in Taos, NM, where she works with several nonprofit organizations to provide Canine-Assisted Therapy to their clientele, with ADW’s serviced dogs-in-training. 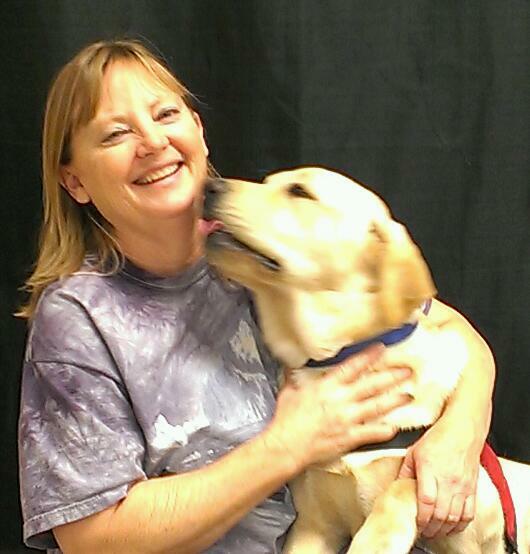 She obtained Clark, a facility service dog, from Assistance Dogs of the West in June 2012 to be her co-therapist – the best decision she has ever made! 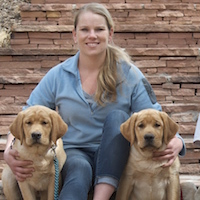 After experiencing the immeasurable benefits Clark brings to her work, she has worked with Assistance Dogs of the West to bring therapeutic Student Trainer and Warrior Canine Connection programs to rural Taos. ADW in Taos now provides weekly therapeutic groups to children and families at the local domestic violence shelter; military veterans; teens with disabilities as an AmeriCorps community service program; at-risk youth at an alternative middle school; and homeless youth at the local youth crisis shelter, and more. Chloe Davis-Masters has loved dogs as long as she can remember. 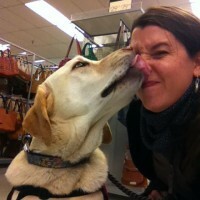 It was this love of dogs that landed her in the ADW student trainer program in the summer of 2001. Chloe and her whole family fell in love with ADW, and soon became Puppy Raisers. Shortly after that, she decided dog training was her professional calling, and spent most of her teenage years learning about how to most effectively and lovingly work with animals. 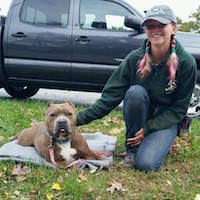 Chloe prides herself on utilizing science-based, compassionate training methods, and is constantly striving to enhance her knowledge and skills. After many years working with abused and neglected animals, in 2017 Chloe came back to Assistance Dogs of the West, this time as an instructor and trainer. 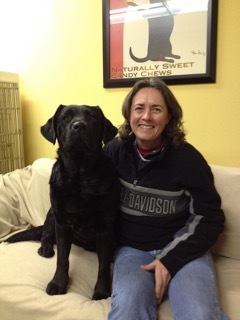 She is extraordinarily happy to be working with the wonderful dogs and clients that make up ADW. Ocean is one of our newest staff members who recently moved to Santa Fe from Oregon and joined ADW in February 2017. An avid animal lover and recent college graduate, Ocean is responsible for coordinating student trainer programs, managing social media, graphic design and marketing materials, greeting clients and helping out with various other activities. In addition to working at ADW, Ocean enjoys volunteering at Sunrise Springs with our puppies, hiking and enjoying the all sunshine New Mexico has to offer. Britte’s love of ADW began years ago as a member of the Student Trainer Program at Desert Academy. Since then, her life has taken her to live in Hawaii and also Colorado as a professional dog groomer. When she heard that ADW was having several new litters of puppies, she heeded the call to work as our onsite Puppy Enrichment Supervisor through our partnership with Sunrise Springs. Britte and her furry sidekick, Jujube, oversee the health and wellbeing of our young pups, as well as, lead Sunrise Springs guests in puppy enrichment activities. Alex’s mother raised English Mastiffs when he was a kid. His companionship with dogs only grew stronger with time. Dogs from miles away would trek across public land to find him and stay by his side. Being apart of ADW for both middle school and high school not only solidified a love for dogs, but for people as well. Alex went off to study politics at the University of California in Santa Cruz. Since returning to New Mexico he has worked on local grassroots campaigns, as well as rejoined the ADW circle of friends, family and service.